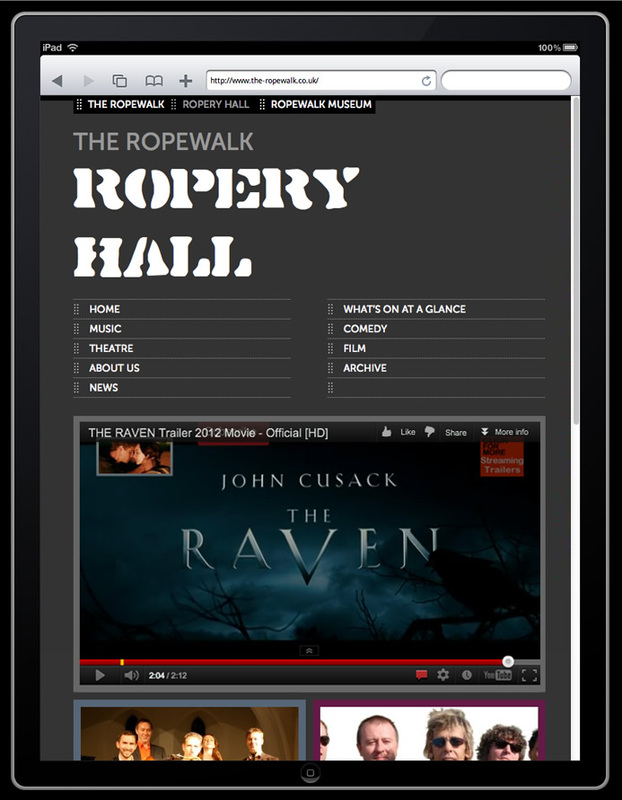 New website for Ropery Hall, the Live venue for The Ropewalk. 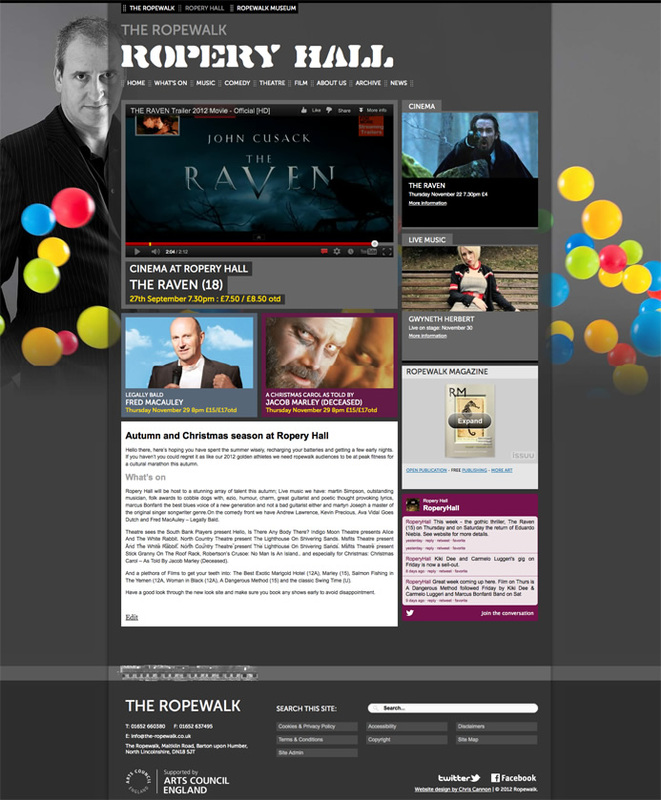 This site again is responsive and fits within the Ropewalk family of websites. This entry was posted in Web development and tagged CMS, Responsive, The Ropewalk, Website, Wordpress. Bookmark the permalink. Follow any comments here with the RSS feed for this post. Post a comment or leave a trackback: Trackback URL.